Phoenix garage doors repair supplies its clients with an array of garage doors for any home from the traditional carriage style door to the contemporary full view garage door. Each of them have their distinct styles and material types among which one can find the new garage door pair that serves their purpose just right. Whenever required we can assist the clients to choose from among this diverse variety. We also proffer a comparison from which visitors can quickly pick a garage door that highlights their style. Whether it is the raised panel which adds the required taste to your garage or a specific design that relates to your surroundings it is for you to pick and chose. Maximum of the options are available in both short and long panel options. The raised panel in garage doors from Phoenix garage doors repair either have an edge where the interior surface of each panel is brought slightly forward to add just a classic note. 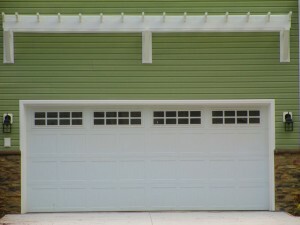 The garage door options are found in different material like fibreglass and steel. The recessed panel is a beautiful touch added to the traditional wood frame and panel construction, shaped from steel and embossed with a natural wood grain finish. It is available in aluminum and steel. Phoenix garage doors repair proffers the flush panel too for those who prefer a more contemporary look which have straight, clean lines for understated elegance. They are almost plain and simple. They are available in steel. The carriage house overlay line is carefully crafted, resulting in exceptionally traditional doors. It is in steel or durable fibreglass or the rich wood to add perfection to your homes.